Regulatory Permitting, Due Diligence, and Licensing Requirements. Tom Biksey serves as a project manager and technical expert on multi-disciplinary environmental assignments throughout the world. These projects include both baseline information development and spatial and temporal analysis of existing and projected impacts on human and ecological receptors. As manager and senior technical lead on these projects, he interacts directly on the client’s behalf with U.S. Environmental Protection Agency and state regulatory agencies as well as various international, regional, and local departments and authorities. In addition, through his overseas assignments in Australia, United Kingdom, United Arab Emirates, Bahrain, Oman, Qatar, Spain, Portugal, Nigeria, Sweden, Yemen, and Venezuela, Tom has an appreciation of the cultural and technical challenges of international work. In his primary role, Tom provides technical input from work plan through remedial alternative selection and risk communication, and has designed and conducted ecological and human health risk assessments for site investigations and remedial response actions at regulated and non-regulated facilities. The significance of the potential risks characterized is the key cost-benefit factor for determining the level of effort required for any additional risk assessment phases versus overall site cleanup costs. To meet client expectations, he focuses the risk assessments in a cost-effective manner that demonstrates responsibility for assessment of impacts and ensures environmentally sound protective strategies. His overall approach provides the risk manager with the information necessary to eliminate unwarranted remediation activity through the identification of aggressive remediation goals for realistic risk-reduction. 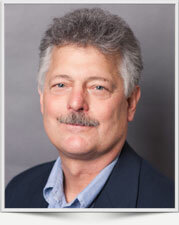 Tom also conducts risk analysis in support of insurance liability and coverage, and REACH compliance. Tom’s primary responsibilities include human health and ecological risk assessments, sediment and water quality issues, and natural resources assessments. In addition, he provides expert testimony and legal support on projects including recovery of cleanup costs and safe remediation of sites. As a client advocate, he reviews and develops comments on proposed regulations and guidance documents, and provides overall technical guidance to project teams developing risk-based solutions to environmental management issues. He has developed position papers, participated on technical guidance development committees, chaired and presented technical sessions at conferences, peer-reviewed technical manuscripts, and conducted technology transfer workshops and seminars. He has published extensively in the scientific literature, and he is an adjunct professor and undergraduate research advisor. Tom also provides technical and negotiating support to clients pursuant to regulatory permitting, due diligence, fate and transport modeling, natural resource assessments, NEPA activities, and licensing requirements. Actions included revising carcinogenic criteria, FIFRA preemption, determining metal bioavailability, forensic investigations, conducting thermal variance studies, and investigating fish kills. He participated in studies for permitting applications that included QSAR analysis, hydrodynamic and sedimentation modeling, jurisdictional wetlands, oil field decommissioning, and wetland treatment systems. To aid the client in managing and analyzing complex data sets, he has designed and developed data base management systems for application with GIS programs. Doctorate Program in Public Health. Occupational Safety and Health Administration 40-hour Health and Safety – Current 8-hour Refresher Training. Ecological risk assessor for Fish and Wildlife Impact Analysis (FWIA) pursuant to an Order on Consent with the New York State Department of Environmental Conservation (NYSDEC) for an operable unit. The FWIA describes the ecology of the site and the surrounding environment including fish and wildlife resources and associated flora and fauna for the ecological communities within the study area, and evaluates the exposure to, and ecological effects of identified constituents of concern on the identified ecological receptors. The objective of the FWIA, currently in the Step 3C phase, is to present conclusions relative to the potential ecological risk posed by the site and provide information useful to risk managers to support remedial decisions related to the site. Conducted an ecological study to determine if a complete exposure pathway existed linking residual constituents in onsite tributaries to a receiving creek or directly to ecological receptors at a Superfund site. The purpose of this study was to provide the USEPA, New York State Department of Environmental Conservation (NYSDEC), and United States Fish and Wildlife Service (USFWS) with the best available information to make a risk management decision regarding the potential impacts associated with sediment removal to either the creek or directly to ecological receptors. Based on these results, the NYSDEC and the USFWS recommended to the EPA that sediment excavation is not warranted except for one small area in an onsite tributary. EPA agreed with the conclusion. Thus, a cost-effective exit strategy for the sediments was negotiated that ensured environmentally sound protective strategies and eliminated unwarranted remediation activity through the identification of aggressive remediation goals for realistic risk-reduction. Prepared a risk-based plan to evaluate wastefill material that slumped into the Buffalo River, and that remains between the river and a slurry cutoff wall. The overall objectives of the plan was to characterize potential risks to human and ecological receptors, evaluate the effectiveness of remedial measures conducted to date, and identify environmentally sound and cost-effective measures for addressing the wastefill materials. A conceptual site model was prepared to describe the complex interrelationships of soil, groundwater, sediments, and potential receptors by qualitatively evaluating the general exposure scenarios that would apply to the wastefill area. The objective was to estimate the type and magnitude of potential human and ecological exposure to the identified COIs based on current and foreseeable conditions, and to consider all institutional and engineering controls, as well as similar controls that are applicable within the Buffalo River watershed. A risk perspective compared the absolute risks from the wastefill materials to the relative risks from other sources of COIs in the river. Benthic ecologist for the Georges Bank Benthic Monitoring Program and the Mid-Atlantic Outer Continental Shelf Environmental Assessment Program for the United States Minerals Management Service’s oil development program. Project manager for the Phase 1 Environmental Baseline Study (EBS) and the Health, Safety, and Environmental (HSE) Assessment of Decommissioning of Arzanah Oil Field for Zakum Development Company (ZADCO), and the Phase 2 EBS and On Site Environmental Information Management System (EIMS) and Geographic Information System (GIS) for Abu Dhabi Marine Operating Company (ADMA-OPCO). Project environmental scientist O&G projects in Russia (Environmental Status Assessment for Sakhalin Energy Investment Company in Sakhalin Island, estimate of impact on the environment (OVOS)) and Columbia (Environmental Risk Assessment for Release from Amoco Facility in Bogota, impact to indigenous populations and ecological receptors). Environmental scientist in Nigeria, Oman, Qatar, and Venezuela where he participated in international O&G technical conferences, and O&G environmental assessment, remediation, and sustainability technology transfer meetings. Project manager and risk assessor in Australia for a number of projects as both a third party reviewer, and in conducting the risk assessment. He assessed mangrove and oyster communities for a remediation action plan at a shipyard in northern NSW where the main contaminant of concern is tributyltin (others include lead, copper and zinc) in soils and sediments. Tom also worked on several projects that included a groundwater to surface water exposure pathway, and examined the spatial and temporal extent of affected aquatic environments downstream from industrial and commercial facilities. In Mascot, the Botany groundwater management zones and Botany Sand Beds Groundwater Embargo Area were important receptors for discharges to the canal and Cooks River. Investigations in the Sandy Point/H.M.A.S Cerberus area included development of a conceptual site model of the sediment exposure pathway that included the source of the metals, the release pathways from landfills, and the aquatic and terrestrial ecological species that may be exposed to the metals in the surface waters (including wetlands) of the adjacent creek. Tom has developed and reviewed site-specific soil and groundwater operational and management plans that include protective measures for activities by receptors potentially exposed in soil, groundwater, and surface water. Risk assessment support of a PRP cost allocation evaluation for a Superfund landfill site. The goal of the evaluation was to develop a fair and objective discussion of cost allocation for all activities associated with an Order on Consent requiring remedial investigation and feasibility study activities at the site. The Order of Consent is with the State of New York and is considered an approved state action settlement for purposes of 42 USC 9613(f). The evaluation consisted of two phases. The first phase included a review of site files, an internet research, and construction of an Access database summarizing the file chronology, PRP participants, background information on the PRP participants, PRP related constituents of interest, industry-related constituents of interest, and site analytical data. The next phase of the project will include a probability analysis and evaluation of Gore factors and other court approved allocation decision tools to develop a PRP allocation percentage for each of the activities required under the Order of Consent. Program manager of the DOE Federal Energy Technology Center in Pittsburgh, Pennsylvania, contract totaling over $2 million dollars for their Environmental Management Program, Remediation Program, and Environmental, Safety, and Health Program. During the five years of the contract, projects included their Environmental Management Program (soil, surface waters, air, groundwater, process vessels, industrial wastewater sewers, AST, and UST investigations, long-term monitoring, and related risk assessments), Remediation Program (oversight, residual risk assessment, hazardous vs. non-hazardous management), and Environmental, Safety, and Health Program (ES&H Plan evaluation, Tiger Team audit review, emergency preparedness and evacuation plans, hazard assessment, lead assessment, emergency response drill and exercise). Tom served as primary client contact with FETC environmental staff and provide marketing, administrative, and overall technical QA/QC support. Project manager for the Boston Edison Company’s Pilgrim nuclear power station assessment of the effect of the heated discharges and scouring on the biota of a cold water New England bay. Served as principal investigator for aquatic chemistry study and recreational use and sports fisheries assessment conducted as part of a FERC licensing requirement for the Hydro Power Division of the city of Pittsburgh and Allegheny County. Developed work plans for sediment testing and monitoring throughout life of project. These projects were designed to evaluate the reaeration potential and environmental impacts of a fixed-crest dam being considered for hydropower development. Served as field coordinator and technical advisor for the performance of post-operational monitoring studies for the Townsend hydropower project on the Beaver River, Pennsylvania. The FERC licensing study included fish sampling and identification and continuous dissolved oxygen monitoring to evaluate the impacts associated with operation of an electrogenerating station. As part of Brownfield programs in Pennsylvania, Ohio, District of Columbia, Virginia, Maryland, and West Virginia, established remediation goals for future land uses for sites undergoing decommissioning and reuse. The exposure scenarios for the future land uses included continued industrial and commercial operations, recreational uses (soccer fields, parks), and residential development; and also included future exposures to aquatic and terrestrial ecological receptors. Project manager for the Zakum Development Company, Abu Dhabi, Arzanah Oil Field Health, Safety, and Environmental Impact Assessment to assess impacts of flushing and decontamination, plugging and abandonment, and dismantling and disposal of the oil facilities from first decommissioning project in UAE. The HSE impacts for this first oil field decommissioning project in the Arabian Gulf were evaluated against Abu Dhabi National Oil Company (ADNOC) regulations and international regulations. Because the decommissioning was to be initiated in the very near future, a streamlined approach was used to provide the most cost-effective and timely assessment of the decommissioning process. Senior technical lead for ecological risk assessment for BRAC site at the Navy Radio Transmitting Station, Driver, Virginia. The decommissioning activities included the assessment of the impacts on ecological receptors by biosurveys, tissue analysis, and in-situ clam bioaccumulation studies in Oyster Creek and Star Creek. Aquatic receptor exposure was evaluated by comparison of ecological endpoint values. Developed a post-remediation monitoring program to evaluate the effectiveness of the selected remedial alternatives during the transfer of the property to the US Fish and Wildlife Service. Author of the preliminary environmental assessment sections of the siting proposal for the Superconducting Super Collider Project in Mississippi submitted to the Department of Energy; task leader for the site characterization for the NEPA data requirements of the Environmental Impact Statement, which included field verification of vegetative cover and wetlands maps previously prepared by remote sensing. Evaluated potential exposure pathways associated with residual concentrations of PCBs on concrete floors within a redevelopment building in Minneapolis, Minnesota. The analytical results of the characterization sampling and evaluation of potential exposure pathways were used to propose risk-based cleanup objectives for interior surfaces for both low and high occupancy receptors. Multi-phase investigation for delineation and characterization of PCB affected industrial soils at a chemical plant in West Virginia was conducted in accordance with the Part 40 of the Code of Federal Regulations (CFR), Part 761.61, for characterization of potential PCB affected sites within unknown release source. Remedial strategies potentially include risk-based closure, capping, and institutional controls. Source identification was a key focus of the investigation due to the unknown release source. Corrective action risk-based closure activities in an aluminum foundry in Kentucky were completed for residual PCBs from hydraulic fluid including PCB-sludge in onsite landfill, and PCB-affected groundwater infiltrating basement walls. Extensive site-specific sampling and regulatory negotiations were essential in focusing potential exposure and risk-based receptor management plan for an acceptable, realistic risk management solution. Clean closure of affected soil and groundwater from PCB underground storage tank releases in a former PCB repair facility in Cincinnati, Ohio, included the challenge of PCB-affected soil beneath an active industrial facility. Institutional controls and risk-based assessment procedures are key to an acceptable exposure level for commercial and utility workers. On-going site investigation and risk assessment tasks pursuant to operations at a repair and refurbish facility in Florida for various types of electrical equipment including motors, transformers, and generators. Site-specific exposure areas were established to facilitate development of receptor-specific cleanup standards for PCBs in surface and subsurface soils, and associated intermittent drainage channel. Off site delineation includes sensitive human and ecological receptors to evaluate the potential risks associated with the current and probable future land use. Risk assessor and project manager for the evaluation and peer review of both human health and ecological risk assessment for chlorinated solvent sites, both in the United States and Australia. Over half of the risk assessments he has conducted included a chlorinated solvent exposure pathway. His projects are for clients from the industrial and commercial service industry that routinely used chlorinated solvents such as tetrachloroethylene, trichloroethene, and vinyl chloride. He has developed site-specific exposure scenarios based on a conceptual site model developed for the risk assessment, especially for industrial and commercial sites that include contaminated land and groundwater resource issues. Tom has used vapor intrusion modeling to determine the potential risks to indoor receptors from chlorinated solvents in groundwater, soils, and soil gas. In addition, he has addressed direct contact with affected groundwater including exposures in showers, ingestion, and dermal contact. In a variety of other risk assessments, exposure areas were developed that were based on the unique exposure duration and frequency parameters for a variety of workers. These exposure parameters were related to differences in work activities, and incorporated fate and transport models to define exposure point concentrations. Tom has also addressed the uptake of chlorinated solvents in fish exposed to affected groundwater discharging to fisheries, and to human receptors consuming agricultural products exposed to affected groundwater used to irrigate the crops. Tom has developed site-specific soil and groundwater management plans that include protective measures for activities by receptors potentially exposed to chlorinated solvents in soil and groundwater. Risk assessor for in New Jersey conducting Baseline Ecological Evaluations (BEEs) at sites throughout the state pursuant to the Site Remediation Program (SRP) under the New Jersey Department of Environmental Protection (NJDEP) that includes the Industrial Site Recovery Act (ISRA) and the Hazardous Site Remediation Act. The BEEs included the evaluation of metals, volatile and semi-volatile organic compounds, polychlorinated biphenyls, and pesticides in soil, groundwater, and surface water and sediments. In addition, several of these sites also included the evaluation of the human health exposure pathway. The BEEs for these sites demonstrated acceptable risks to ecological receptors and helped move the sites toward closure. In support of litigation activities for his clients, Tom provided expert witness testimony with regards to claims of damage from contaminated commercial properties in Indiana, coordinated legal support pursuant to risk assessment and natural resources damage assessments for a Superfund claim at a gold mining site, opined on a civil action in support of summary judgement for the Welsh landfill Superfund site, and provided forensic evaluations pursuant to a natural resources damage claim for a pipeline client in southwester Pennsylvania. Prudential industrial park site in Indianapolis, Indiana expert witness testimony to support claim of damages from contamination of commercial property. Damages included the cost for site investigations and remedial measures that were implemented. US Department of Justice assistance relative to human health and environmental risk on civil action No. 96-6395 for U.S. vs. Barkman, et al in support of a summary judgement that requires the Welsh Landfill Superfund Site in Honey brook, Pennsylvania, to be remediated as per USEPA. Natural Resources Damage Claim for an oil spill to the Allegheny River in southwestern Pennsylvania. Major oil company’s natural resources damage claim from an oil spill to a major river in southwestern Pennsylvania with especial emphasis on fish tissue concentrations of oil to evaluate the appropriateness of a fish advisory. Forensic investigation of fish tissue PAH concentrations to evaluate the appropriateness of a fish advisory related to release from oil pipeline. Technical support included review of PAH fingerprinting information for surface water, sediment, and fish tissue, recreational fishing surveys, and site-specific risk analysis of the fish ingestion pathway. Results were used to evaluate the appropriateness of a fish advisory. Risk levels for various oil-related contaminants were calculated based on metabolic transformations and residual half-life of the contaminants of concern. Risk assessor and wetlands scientist for Morgantown Ordnance Works, Morgantown, West Virginia. Leachate from existing and future landfill will be treated using constructed wetland system. Residual contamination in the sediments were evaluated based on soil-sediment relationship and impacts to the Monongahela River for implementation of the selected Record of Decision. Risk assessor for IRCC Marysville, Ohio. A landfill was covered and replaced with a county park. A PERA and SERA were conducted; completed addressing comments and met with Ohio EPA to negotiate final risk management decision regarding the residual levels in the creek. Risk assessor for the Navy’s CLEAN Program for CERCLA, BRAC, and RCRA sites at bases in North Carolina, Virginia, Maryland, Puerto Rico, and Maryland. Negotiated with EPA Biological Technical Assistance Group and state agencies. Also developed position papers on terrestrial receptor evaluation and long-term biomonitoring. Several sites included landfills. Also, at the Naval Security Group Activity in Sabana Seca, Puerto Rico treatability study and design of leachate treatment system. Risk assessor for the EPA Region V Grand Calumet River project pursuant to a Clean Water Act Consent Decree requirement for a large steel manufacturer located in Indiana. Ecological risk assessment included discharges from former landfills on site; and evaluation of new landfills to hold dredge spoils. Risk assessor for PPG Ford City disposal site along the Allegheny River included agency negotiations regarding the potential risks from on-site seeps and the development of a wetlands habitat enhancement program pursuant to the remedial alternative analysis under the Act 2 format. Risk assessor for former Commonwealth Edison Streator Town Gas Site in LaSalle County, Illinois with implementation of a two-year integrated approach for three distinct components of the ecosystem. Specifically were examining the impact of former landfills for coal tar wastes on the Vermillion River. Risk assessor for former manufactured gas plant sites in Iowa, Illinois, and Massachusetts included cost-effective risk ranking approach, no-action alternatives, and real-time air monitoring during selected remediation. The sites all included some aspect of former landfilling of the operational wastes. Also, the real-time monitoring was conducted during excavation of former landfill contents that presented unacceptable risk levels. Risk assessor for Pennsylvania’s Hazardous Sites Cleanup Program Act 108 Sites included Beals Battery Site, Presque Isle, Crown Industries, and Cooper Industries and Massachusetts’ 21E program and state superfund program sites across the state included both waiver and non-waiver 21E projects. These were state cleanup programs with several including landfill closures. Risk assessor for the Hazard Ranking System scoring for Cleveland Asphalt Plant and Beals Battery Site pursuant to Pennsylvania’s Hazardous Site Cleanup Program Act. Both sites had onsite landfills that were evaluated via the HRS. As a client advocate, reviewed and commented extensively on the Great Lakes Water Quality Initiative, the EPA Sediment Quality Criteria, and the EPA Contaminated Sediment Management Strategy as part of the Water Environment Federation’s Ecology Committee, and as an advocate for DuPont Chemical Corporation. Participation included attendance at committee working group meetings, review of state of science and analytical methodologies, and drafting of comments and recommendations for guidance and policy revisions. Reviewed NPDES permit for Zinc Corporation of America for their smelting plant discharge to Ohio River. Water-quality based limits and the waste load allocation model were reviewed. Actions included revising several criteria based on inappropriate carcinogenic classification, use of default model parameters, inflow vs. outflow concentration, and application of hardness factor for metal bioavailability. The Toxicity Reduction Evaluation program mandated by PADER was analyzed and detail comments regarding applicability were generated. Provided the PRP with technical comment on NPDES permit conditions for the Maryland Sand, Gravel and Stone Superfund Site. The groundwater treatment system discharges to wetlands and streams of Maryland and requires limits for protection of human health and aquatic life. The use of criteria employing USEPA methodology for toxic substances and assessment of onsite biodegradability of nontoxic contaminants was reviewed and alternative limits recommended. Developed mine dewatering strategy and allowable discharge rates for an Office of Surface Mining project at the Casoni mine on the Youghiogheny River in southwestern Pennsylvania. A mass loading discharge model was used to select the flow limiting constituent in the acid mine discharge. Assisted legal counsel for an industrial discharger of petroleum process wastewater to Bear Creek, a tributary to the Allegheny River in Pennsylvania. Provided technical support in the review of biomonitoring (quarterly bioassays) data and an evaluation of the need for a 316(a) thermal variance study. Metal bioavailability and the input of multi-discharges into the watershed of concern were permit parameters incorporated into the NPDES litigation process. Environmental scientist for the Harrisburg International Airport in Pennsylvania. Prepared an Environmental White Paper addressing justification for a categorical exclusion under the National Environmental Policy Act (NEPA). Developed and implemented a Water Quality Monitoring Baseline Program, which was coordinated with airlines and regulatory agencies, to evaluate pre- and post-control measures for collection of spent deicing fluids. Environmental scientist for the biological sampling and data analysis for a 316(a) Type I study undertaken by Quaker State Oil Refining Corporation for their McKean County refinery in Pennsylvania. Results were used to support an application for a thermal variance for their NPDES discharge. Assembled a comprehensive database on life histories and thermal tolerances of six representative important species that were known to inhabit the stream reach of concern. Project manager and senior technical lead for development of an integrated Water Quality Management Program for the Pittsburgh International Airport property in Pennsylvania. Environmental databases were compiled for water quality, biology, pollution sources, land use, water resource use, and regulatory information for each of 133 sub-watersheds. A GIS was used to inventory, manipulate, and analyze the data. Assessment criteria evaluated potential environmental impacts on surface water quality. Impacts to surface water included acid mine drainage, industrial wastes, impervious runoff, construction activity, agricultural runoff, and on-lot sewage discharges. Action items included acid mine reclamation, stormwater management, a deicing fluids management policy, landfill leachate control, on-lot sewage assessment, and an updated prevention and preparedness contingency plan. Biksey, Thomas M.; Schultz, Amy Couch; Bernhardt, Aaron M.; Marion, Brett; Peterson, Chrissy 2010. Literature Review: Ecological and Human Health Risk Assessment. Water Environment Research. Water Environment Research, 82(10): 2067-2094. Biksey, Thomas.M., Susan Zickmund, Felicia Wu. 2010. Disparities in Risk Communication: A Pilot Study of Asthmatic Children, Their Parents, and Home Environment. Journal of the National Medical Association. In Press. Biksey, T.M. 2009. Renewable Fuels: Public and Environmental Health Model. Presented at Society of Risk Analysis 29th Annual Meeting – Risk Analysis: The Evolution of a Science” December 6-9, 2009 – Baltimore, Maryland. Biksey, Thomas M.; Schultz, Amy Couch; Bernhardt, Aaron M.;Marion, Brett; Isbister, Chrissy 2009. Literature Review: Ecological and Human Health Risk Assessment. Water Environment Research. 81(10): 2170-2210. Biksey, Thomas M.; Schultz, Amy Couch; Bernhardt, Aaron M.; Smith, Preston; Marion, Brett; Isbister, Chrissy 2008. Literature Review: Ecological and Human Health Risk Assessment. Water Environment Research. 80(10): 1997-2025. East, R., S. Morgan, T. Biksey. 2008. Integrating Brownfields Redevelopment and Education: The Detroit Street Redevelopment Project Update. Presented at The National Brownfields 2008 Conference. May 7-8, 2008, Detroit, Michigan. Biksey, Thomas M.; Schultz, Amy Couch; Bernhardt, Aaron M.; Smith, Preston; Marion, Brett; Isbister, Chrissy 2007. Literature Review: Ecological and Human Health Risk Assessment. Water Environment Research. 79(10): 2170-2191. East, R., S. Morgan, T. Biksey. 2007. Integrating Brownfields Redevelopment and Education: The Detroit Street Redevelopment Project. Presented at The Business of Brownfields 2007 Conference. April 18-20, 2007, Pittsburgh, Pennsylvania. Wu, F., T. Biksey, M. Karol. 2006. Can Mold Contamination of Homes Be Regulated? Lessons Learned from Radon and Lead Policies. Environmental Science and Technology 41(14): 4861-4867. Kremer, F., D.V. Nakles, T.M. Biksey. 2006. Monitored Natural Attenuation Forum: Monitored Natural Recovery of Contaminated Sediments. Remediation 17(1): 139-146. Biksey, T.M., F. Wu. 2006. “Indoor Agent Exposure and Public Health Policy: Lessons Learned”. Invited speaker for Symposium on Health Risks in Home Environments: Sources and Solutions, Society of Risk Analysis 26th Anniversary Meeting of SRA: Risk Analysis in a Dynamic World: Making a Difference. December 3-6, 2006, Baltimore, Maryland. Best Paper Award – Biological Stressors Committee. Ecological and Human Health Risk Assessment. Water Environment Research. 78(10): 2097-2135. Interstate Technology Regulatory Council. 2006. Technical and Regulatory Vapor Intrusion Guidance. Contributing author for Data and Risk Evaluation Framework Chapter. Biksey, T.M. 2006. “Constructed Wetland Systems.” Invited guest lecturer for course entitled Land Reclamation at Washington and Jefferson College, Washington, Pennsylvania, March 28, 2006. Biksey, T.M. 2006. “Risk Management Strategies for Pennsylvania Act 2.” Invited guest lecturer for course entitled Land Reclamation at Washington and Jefferson College, Washington, Pennsylvania, March 2, 2006. Biksey, T.M. 2005. “The ITRC Vapor Intrusion Guidance: A Nationwide Risk-Based Approach”. Invited speaker for Symposium on Indoor Environmental Exposures, Society of Risk Analysis 25th Anniversary Meeting of SRA: Past Present, and Future of Risk Analysis, December 4-7, 2005, Orlando, Florida. Biksey, T.M. 2005. “Human Health Exposure Assessment, Southeast Federal Center, Washington, D.C.” Invited guest lecturer for course entitled Principles of Environmental Exposure at University of Pittsburgh, Pittsburgh, Pennsylvania, November 9, 2005. Biksey, T.M., A. Couch Shultz, A.M. Bernhardt. 2005. Literature Review: Ecological and Human Health Risk Assessment. Water Environment Research. 77(6): 2835-2901. Biksey, T.M. 2004. “Ecological Risk Assessment”. Invited guest lecturer for course entitled Introduction to Risk Assessment at University of Pittsburgh, Pittsburgh, Pennsylvania, December 2, 2004. Biksey, T.M., A. Couch Shultz, A.M. Bernhardt. 2004. Literature Review: Ecological and Human Health Risk Assessment. Water Environment Research. 76(5). Biksey, T.M. 2004 “Risk Mitigation and Land Reclamation.” Invited guest lecturer for course entitled Land Reclamation at Washington and Jefferson College, Washington, Pennsylvania, March 31, 2004. Biksey, T.M., A. Couch Shultz, W.H. Phillips, A.M. Romano, and A. M Bernhardt. 2003. Literature Review: Ecological and Human Health Risk Assessment. Water Environment Research. 75(5). Biksey, T.M. 2003. “A Map and Toolbox for Ecological Risk Assessment.” Invited presentation for Allegheny Erie Society of Toxicology Spring Meeting on April 25, 2003 in Pittsburgh, Pennsylvania. Couch Schultz, A and T.M. Biksey. 2003. Arsenic Speciation and its Effect on Soil Cleanup Standards. Environmental Claims Journal. 15(1):107-118. Ingersoll, C., T. Biksey, A. Burton, I. Hartwell, J.Diamond, S. Ireland, M. Johns, P. Landrum, D. Moore, L. Saban, and E. Smith. 2003. ASTM Standard Guide for Collection, Storage, Characterization, and Manipulation of Sediments for Toxicological Testing (E1391-02). ASTM Committee E47 on Biological Effects and Environmental Fate and Subcommittee E47.03 on Sediment Assessment and Toxicology. Biksey, T.M. 2002. “A Water Quality Strategy and Tools for the Future.” Presented at the Society of Environmental Toxicology and Chemistry’s 23rd Annual Meeting, 16 – 20 November 2002, in Salt Lake City, Utah. Biksey, T.M. and C. Cowan-Ellsberry. 2002. The Dirty Dozen (PPTs). Water Environment and Technology. Vol 14(11): 30-33. Process and Application.” Presented at 8th Annual Industrial Waste Technical and Regulatory Conference, 11 – 14 August 2002, in Atlantic City, New Jersey. Biksey, T.M., and B. Kramer. 2002. Criteria for Change (Water Quality Standards Program Strategy). Water Environment and Technology. Vol 14(6): 36-39. Biksey, T.M., A. Couch Shultz, W.H. Phillips, A.M. Romano, and E.D. Gross. 2002. Literature Review: Ecological and Human Health Risk Assessment. Water Environment Research. Vol 74 (5). Biksey, T.M. 2002 “Ecological Risk Assessment.” Invited guest lecturer for course entitled Intro to Environmental Studies at Washington and Jefferson College, Washington, Pennsylvania, April 17, 2002. Biksey, T.M. and E.D.Brown. 2001. “The Hyporheic Zone: Linking Groundwater and Surface Water – Understanding The Paradigm.” Remediation Journal. 12(1). Biksey, T.M., C.L. Boben, R.A. Carlson, M.P. Peramaki, and R.M. Rohlfs. 2001. “Use of a Groundwater to Surface Water Mixing Model to Support Risk-Based Action Levels in a Riverine Ecosystem.” Presented at the Society of Environmental Toxicology and Chemistry’s 22nd Annual Meeting, 11 – 15 November 2001, Baltimore, Maryland. Biksey, T.M. 2001 “Constructed Wetlands for Treatment of Waste Streams.” Invited guest lecturer for course entitled Watershed Management at Washington and Jefferson College, Washington, Pennsylvania, October 31, 2001. Biksey, T.M. 2001. “IRCC Brownfields Eljer Park – Formerly Eljer Plumbingware Site, Marysville, Ohio.” Presented at the Society of Risk Analysis Greater Pittsburgh Chapter Meeting on October 23, 2001, Pittsburgh, Pennsylvania. Biksey, T.M., A. Couch Shultz, and W.H. Phillips. 2001. Literature Review: Ecological and Human Health Risk Assessment. Water Environment Research. Vol 73(5). Biksey, T.M. 2001. “Ecological Risk Assessment Workshop – How is it performed? What is it used for?” Presented at Society of Risk Analysis Greater Pittsburgh Chapter July 28, 2001, Pittsburgh, Pennsylvania. Biksey, T.M. 2001. “Eco-Risk: Process and Tools” Presented at the Academy of Certified Hazardous Materials Managers Laurel Highlands Chapter July 20, 2001, Johnstown, Pennsylvania. Biksey, T.M. and E. Brown. 2001. “In the Hyporheic Zone” Water Environment and Technology. Vol 13(6):40-45. Biksey, T.M., A.M. Bernhardt, D.G. Aubrey, and S.B. Aubrey. 2000. “Environmental Baseline Assessment of Oil Fields in the Arabian Gulf.” Presented at the Society of Environmental Toxicology and Chemistry’s 21st Annual Meeting, 12 – 16 November 2000, Nashville, Tennessee. Biksey, T.M. and A.M. Bernhardt. 2000. “The Right Tool for the Job” (Ecological Risk Assessment) Water Environment and Technology. Vol 12(3): 30-35. Monson, B. and T.M. Biksey. 2000. “TMDLs Should Consider Their Ecological Relevance.” Water Environment and Technology. Vol 12(2): 47. Biksey, T.M., M.E. Kimes, A.M. Bernhardt, M.A. Suminski, and C.Penny. 1999. “Long-Term Aquatic Monitoring Program at a Naval BRAC Site”. Presented at the Society of Environmental Toxicology and Chemistry’s 20th Annual Meeting on November 14 – 18, 1999, Philadelphia, Pennsylvania. Biksey, T.M., M.E. Kimes, A.M. Bernhardt, M.A. Suminski, and C.Penny. 1996 “Assessment of Ecological Risks Prior to A Naval Base Closure.” Presented at the Society of Environmental Toxicology and Chemistry’s 17th Annual Meeting on November 17-21, 1996, Washington, D.C.
Biksey, T.M. 1995. “Use of Chesapeake Bay Restoration Goals Index in Ecological Risk Assessments.” Presented at the Society of Environmental Toxicology and Chemistry’s Second Work Congress (16th Annual Meeting) on November 5-8, 1995, Vancouver, British Columbia. Biksey, T.M. 1995. “Cleanup Standard Development” and “Arsenic Status Update.” Presented at a Technology Transfer Seminar on “Remediation Issues” for PPG Industries, August 22, 1995, Pittsburgh, Pennsylvania. Biksey, T.M. 1995. “Focused Risk Assessments for Groundwater and Soil Contamination.” Invited guest lecturer for graduate course entitled Subsurface Contamination Assessments at University of New Haven, May 23, 1995, West Haven, Connecticut. Biksey, T.M. and W.C. Stuenkel. 1994. “Managing Airport Watersheds.” Water Environment and Technology. Vol. 6(7): 42- 45. Biksey, T.M. 1994. “Ecological Risk Assessment for Operable Unit 2 of the Marine Corps Base, Camp Lejeune, North Carolina.” Presented at the Water Environment Federation’s 67th Annual Conference and Exhibition on October 16-20, 1994; Published in Proceedings of the Surface Water and Ecology Symposia of the Conference. Biksey, T.M. and W.C. Stuenkel. 1993. “Pittsburgh (Pennsylvania) International Airport Water Quality Management Program.” Presented at the Water Environment Federation’s 66th Annual Conference and Exhibition on October 3-7, 1993; Published in Proceedings of the Surface Water and Ecology Symposia of the Conference. Biksey, T.M. 1993. “Human Health and Ecological Risk Assessments.” Invited guest lecturer for graduate course entitled Subsurface Contamination Assessments at University of New Haven, May 24, 1993, West Haven, Connecticut. Biksey, T.M. 1993. “Ecological Risk Assessment.” Presented to the DuPont Remediation Advocacy Team, June 10, 1993, Wilmington, Delaware. Biksey, T.M. 1993. “Risk Assessment.” Presented at Technology Transfer Seminar on “Controlling Costs on Remediation Projects” for United Technologies Corporation, April 20, 1993, Hartford, Connecticut. Biksey, T.M. 1993. “Risk Assessment.” Presented at Technology Transfer Seminar on “RI/FS Technologies” for PPG Industries on March 2, 1993, Pittsburgh, Pennsylvania. Biksey, T.M. 1993 “Risk Assessments.” Invited speaker for the Pittsburgh Chapter of the American Industrial Hygiene Association monthly meeting, February 1993. Biksey, T.M. 1992. “Application of Risk Assessment to Small Site Remediation.” Technology Transfer Seminar. Presented to Conoco Inc. September 29, 1992, Houston, Texas. Airports Association’s Session at the Illinois Aviation Conference, May 1-3, 1991, Peoria, Illinois. Biksey, T.M. 1990. “An Ecological Assessment of Cumulative Non-Point Source Impacts in the Vermilion River.” Presented at the Water Pollution Control Federation’s 63rd Annual Conference and Exhibition on October 7-11, 1990, Washington, DC. Biksey, T.M. 1990. “Public Health Evaluation and Environmental Assessment for the Berks Sand Pit Superfund Site.” Presented at the Hazardous Waste and Hazardous Materials’ 7th National RCRA/SUPERFUND Conference and Exhibition, May 2-4, 1990, St Louis, Missouri, and at the Air and Waste Management Association’s 83rd Annual Meeting and Exhibition, June 24-29, 1990, Pittsburgh, Pennsylvania. Biksey, T.M. 1988. “Log-normal Distribution of the Benthic Community in Organically Enriched Outer Los Angeles Harbor.” Presented at the 73rd Annual Ecological Society of America Meeting, August 14-19, 1988, University of California, Davis, California. Biksey, T.M. 1987. An Ecological Analysis of the Benthic Community in Organically Enriched Outer Los Angeles Harbor. Masters Thesis. California State University at Long Beach. Biksey, T.M. 1986. “An Ecological Analysis of the Benthic Community in Organically Enriched Outer Los Angeles Harbor.” Presented at the Sixth Annual U.S.-Mexican Symposium of the Southern California Ocean Studies Consortium and the Universidad Autonoma de Baja, California Sur, Southern California Academy of Sciences Annual Meeting, May 2-3, 1986, San Bernadino, California. Biksey, T.M. 1983. “Invertebrate Intercalibration Program.” Presented at the New England Estuarine Research Society Annual Meeting, April 21-23, 1983, Portland, Maine. Reish, D., T. Biksey, and R. Ware. 1982. “The Effect of the Change in Municipal Waste Treatment on Marine Benthic Communities.” Presented at Ocean Disposal in the 80’s Symposium, Southern California Academy of Sciences Annual Meeting, April 30, 1982, Los Angeles, California. Proceedings Published in Waste Disposal in the Oceans, Minimizing Impact, Maximizing Benefits, Eds. D.F. Soule and D. Walsh, Westview Press, Boulder. 1983, pp. 234-245.